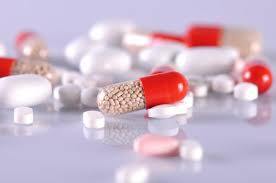 Probably you are wondering whether methocarbamol or Robaxin would get you high. This drug, although touted not to be addictive, it can induce some changes in your brain that affect how you feel. Methocarbamol is a drug that acts as a muscle relaxant and it is used in alleviating pain – for example, pain and discomforts caused by an injury to muscles. Can You Get High on Robaxin? Why Do People Abuse Robaxin? When individuals take Robaxin doses way above those recommended for therapeutic use, it can result in abuse. People who have a history of abusing sedatives can easily abuse methocarbamol. Although the potential for abusing Robaxin is considered to be dramatically less compared to abuse of drugs within the same category, there are still chances that people would abuse this drug, especially when they take it for extended period and in high doses. The probability of abusing methocarbamol is also high if a person is also taking other recreational drugs. Having said that, you know that there is always a group of persons that will take anything that they find alters their state of consciousness2. It doesn’t necessarily have to bring the common ‘high’ effects of relaxation or euphoria. As long as there is a change in a person’s level of consciousness, some people will take a drug just to achieve that. Also, because the drug can easily be found in the drawers or cabinets at home, the easy access to the drug makes it a possibility for people to want to use them whenever they cannot be able to purchase the typical recreational drugs like heroin or cocaine. Although abuse of Robaxin may not likely occur in the same way as other drugs, there is still a possibility of people abusing the drug. The drug may not be addictive but there is craving that occurs in the individual’s mind. Individuals who use the drug as prescribed may not have the craving or come-down for Robaxin when they stop taking it. There won’t be serious withdrawal symptoms like you find with other recreational drugs. How Is The Robaxin ‘High’ Like? According to some people who have taken Robaxin, they say that it alters their mind. One individual said that after taking about 4 grams of Robaxin in about an hour, their mind entered an observational state, but they were unable to converse and move. When they upped the dosage to about 9 grams in a period of two hours, they almost had a catatonic-like state that lasted for about three to four hours. In such kind of a dosage, the person is neither able to walk nor scratch their face. Another user who gives an account3 on the effects of using Robaxin says that after accessing it from the shelf at home, he dosed about 4 to 5 grams and smoked his last weed that was about half a bowl. In about thirty minutes, he started feeling very relaxed. The user was perfectly content to have sometime sitting in their garden all night. His limbs were heavy though in a good way as he describes. The user stool up to reach to some water, however, he couldn’t walk at all, and he staggered immediately. Reaching to his bedroom in the upstairs was really a problem. After getting to the bedroom, he was extremely comfortable and felt softer and warmer. Based on the effects the drug has on this user, probably the euphoric feeling was because he too took some weed. That’s what produced the mellow-y feeling. Overdosing methocarbamol can have serious symptoms like seizures, low blood pressure, severe drowsiness, nausea, and loss of consciousness. Overdosing on Robaxin usually happens more frequently if a person is taking it along with another sedative drug or alcohol.